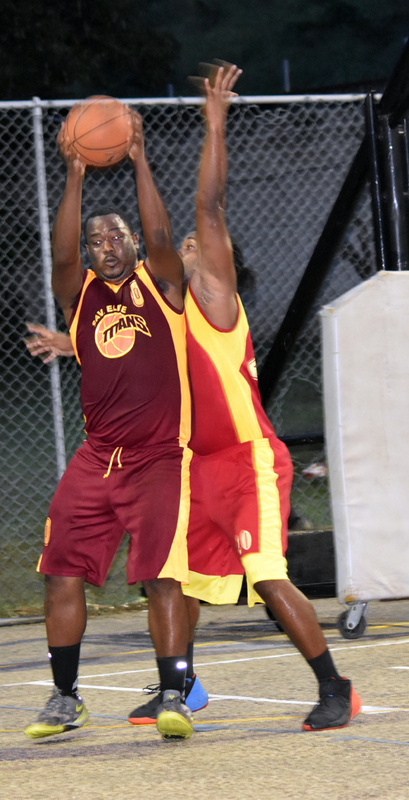 In one of the worst ever games on display, Lucea Flames held just enough heat to burn out Sav Elite Titans in weekend action of the Western Basketball Association (WBA) Elite League played at the Montego Bay Cricket Club. Flames marked off only their second win of the season, beating their opponents 46-39 in a dreadful display of basketball. With misses, bad shots and terrible passing on firm show, the halftime score read more like a quarter, 17-17 at the break, with Flames tallying 9 to Sav’s meagre three after the latter had initially opened with a 14-point burst in the first. Flames had some amount of heat in the second half and led by two players getting in double figures, blitzed Sav 29-22 in the second half of the match to claim the unimpressive, low-scoring victory. Jvon Calderon had 13 points and pulled down 19 rebounds for the Flames, while Sheldon Myrie added 11 and grabbed seven rebounds. Troy Reid and Richard Munro each scored 10 points for the Sav team, with the latter also collecting 15 rebounds. Meanwhile, defending champions Granville Jaguars and Montego Bay Cricket Club Knights continued their winning throttle in contrasting fashion. Both extended their winning streak to five straight games and remain undefeated. Knights earned a walkover two points and a 20-point margin of victory after former champions Catherine Hall All Stars failed to turn up for their game, the first of the day’s triple header. Jaguars looked efficient as they held off a late charge to beat Holland Saints 83-80, recording their fifth successive triumph. Saints trailed for most of the game, but pushed the game to a tense finish with a last quarter burst of a season-high 30 points. Jaguars held a double digit (11) point lead going into the break. The advantage was reduced to 9 by the free-scoring Saints who had three chances to level the clash or cut the deficit to a mere one, but fouled up, each time turning over the ball to their opponents. With time running out in the last quarter, Saints needed a three to send the game into overtime, but from an inbound pass after the ball had been advanced, an alert Jagaurs player picked off the pass intended for Saints’ player/coach Ricardo Brooks. Dave Black led the charge for the Jaguars with 24 points, while David Gordon was effective with 12 points and 11 rebounds and Leroy Lawrence 15 points. Errole Steele rose for 21 points and hauled in 10 rebounds for the Saints, with Michael Johnson contributing 20 and Daniel Henry 15, grabbing 8 rebounds while dishing 7 assists. The League continues on Thursday with a solitary game.